Amarillo has just gotten a seat at a table full of powerful political leaders. Lt. Gov. 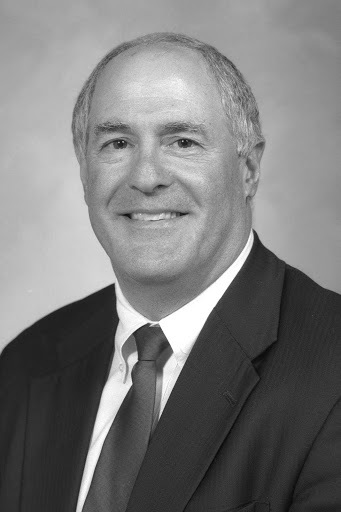 David Dewhurst today named state Sen. Kel Seliger, R-Amarillo, as chairman of a select committee on redistricting. You’ll remember the last time the Legislature sought to redraw congressional and legislative boundaries, after the 2000 census. Lawmakers didn’t do it quite to the liking of then-U.S. House Majority Leader Tom DeLay, who swept into the state and persuaded Gov. Rick Perry to call a special session to redraw the lines to create a more heavily Republican congressional delegation. Democrats didn’t like that, they bolted, fled the state and sought to freeze the process. Their rebellion didn’t work. DeLay got what he wanted. And the rest is history. Now it’s 2010 and the next Legislature will be tasked with redrawing the boundaries again. This time, we have one of our own from the Panhandle at the center of the storm. It remains to be seen whether Seliger’s presence as select committee chairman will help us protect the region’s political clout. No doubt, Seliger will be feeling the heat from throughout the state. But it’s good to know that one of our own has a leadership role to play in this most partisan political exercise. 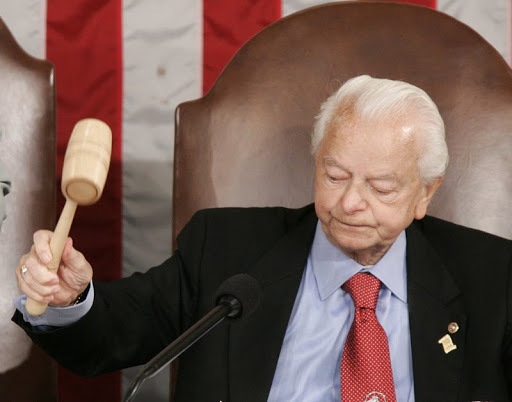 The late Robert Byrd was a pork-barreler — and proud of it. The longest-serving member of Congress in U.S. history died this week. His legacy is complex. Byrd was a master of constitutional detail. He knew the history of the Senate like no other. He once was a member of the KKK, but transformed himself into a leading civil-rights activist. Byrd also was able to funnel billions of dollars into his home state of West Virginia. It’s the last description that, in its way, is most admirable. Byrd didn’t hide behind some high-minded rhetoric that sought to justify locating dozens of federal offices in West Virginia. He called himself the “Big Daddy” of congressional spending. 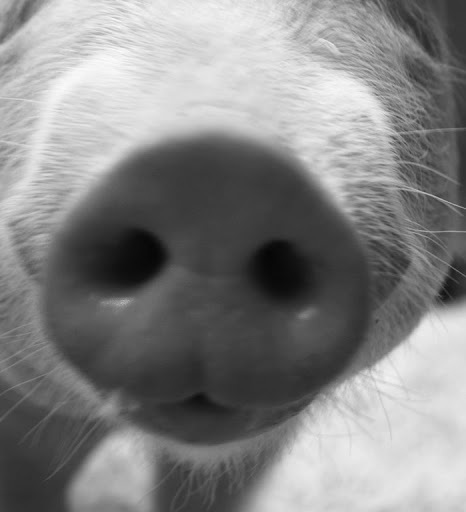 He was proud of all the pork he ladled into his state. He made no apologies for it. And for all the money Byrd guided into his state, his constituents loved him for it. They sent him back to the Senate during the course of nine elections. But, man, he surely got others around the country to grind their teeth in disgust. Mac Thornberry is one House member who speaks ill of the earmarks that made people such as Byrd famous — or infamous, depending on your point of view. He wins high praise from his constituents for the criticism he lays at the feet of House colleagues who spend so much of our tax money on these pork-barrel projects. It all makes me wonder: Would we begrudge our own House members, or own our senators if they did they very same thing for us in Texas, or in the Panhandle? My guess is that we’d change our tune in a heartbeat. It can be said of the late Robert C. Byrd that his picture belongs next to the entry “term limits” published in any political journal. The veteran Democratic U.S. senator died early today at age 92. He had served 51 years in the Senate and six years in the House. That’s 57 years in Congress. Yep, he was an institution. He’s also become vilified in many circles because of all the money he channeled to his home state of West Virginia. 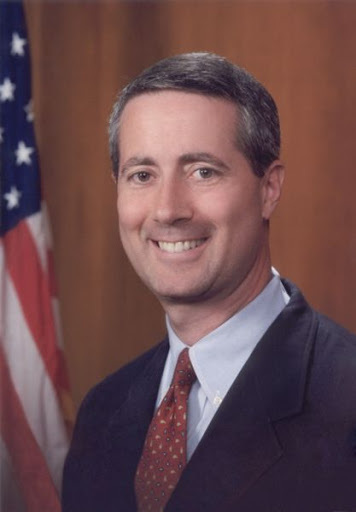 A good many lawmakers who forgo the earmark process in federal budgeting — including Republican Rep. Mac Thornberry of Clarendon — often cite Byrd’s “talent” for bringing federal money home to his constituents. One of the more, um, interesting plums in West Virginia is a Coast Guard office. How he managed to put a Coast Guard office in his landlocked state speaks volumes about the man’s clout on Capitol Hill. The term-limits crowd tries to make the case for limiting lawmakers’ length of service by citing Byrd’s five-decades plus in Congress. Fine. Tell that to Byrd’s bosses, the voters of his state, who kept sending him back to work on their behalf every six years. They didn’t mind being represented by someone who knew how to work the system. It was, after all, their call to make — just as Texans have elected our share of pork-barrelers over the years. Rain, rain everywhere — or so you’d think. Rick Husband International Airport recorded 1.4 inches of rain over two days this week. But at our house across town, we got only a sprinkle. Our rain gauge recorded next to nothing. What’s more, Lake Meredith’s levels continue to fall. It’s at 44 1/2 feet — and receding. I looked recently at a local television Web site and read an explanation of just how the lake could return to its historic levels, about double where it is now. It would have to flood in Fritch, pouring enough water into the lake to bring it back up to where it used to be. Goodness, I would hate for that happen to our neighbors in Hutchinson County. I received a note this week from a Hansford County commissioner that thanks Texas transportation officials for their response to the horrendous torrent that fell across that region. So here we are, nearly halfway through the year and the year-to-date moisture levels are considerably greater than normal at the National Weather Service station at AMA. Why, though, does it still seem so dry? Republican U.S. Rep. Mac Thornberry of Clarendon isn’t known for snarkiness — unlike, say, Democratic U.S. Rep. Barney Frank or U.S. Sen. Al Franken. But he unveiled a different side of himself Wednesday when commenting on the Changing of the Generals announcement at the White House. Stanley McChrystal is out and David Petraeus is in as commander of allied forces in Afghanistan. McChrystal got into serious trouble when he and his senior aides were quoted criticizing White House and Pentagon officials over their conduct of the war in Afghanistan. Vice President Biden was the target of some of the sarcastic comments from McChrystal’s staff. A victory not worth winning? John Isner has just defeated Nicholas Mahut in the longest tennis match in the sport’s history. Good for him — I think. Isner, the American, defeated Mahut, of France, by a score of 70-68 in the fifth set. The match lasted more than 11 hours over three days. Usually these five-set matches end in tiebreakers. Not at Wimbledon, however. So, now Isner goes on to the next round, but only if he can pull himself out of bed. Both men claimed utter and complete exhaustion. No kidding? — Inser and Mahut are going to become best friends for the rest of their lives. — Sports historians will link them forever, the way they did Larry Bird and Magic Johnson, and Muhammad Ali and Joe Frazier. I was telling friends and colleagues Wednesday that I would hate to be the guy who actually won the match. Isner won’t have anything left for the next match. Mahut, however, can take as long as he needs to sleep it off. This might be my all-time favorite roadside marquee message. It’s at Southwest Church of Christ, at 45th and Cornell in Amarillo. Honk if you love Jesus, text while driving if you want to meet him. I added the emphasis on the words “text while driving,” for reasons I hope you’ll understand. I had a horrifying thought this morning as I was driving north along a major west Amarillo thoroughfare en route to work: My effort to read the other side of a marquee as I was traveling along the street could have resulted in a tragic accident. It was early this morning. I noticed the sign, then realized that the rest of the message was on the other side of the marquee. I turned my head to read the “punchline” on the other side. I was distracted for, oh, about three seconds. I was traveling about 35 or 40 mph, which means I traveled quite distance in a short period of time. Given that traffic was very light at 6:30 a.m., I had no particular worry at that moment of hitting a car in front of me. But what about the morning rush hour, when the street is clogged with northbound traffic? Or how about the evening rush hour, when the southbound lanes are full of vehicles? What if someone cranes his or her neck to read the sign, as I did this morning? You’ve taken your eyes off the street, and the traffic, for a moment. Then a critter — or, heaven forbid, a child — darts out into the street. The driver in front of you slams on the brakes. You hit the car and, thus, you are liable for the wreck. I enjoy reading clever signs as much as the next guy. I also fear auto accidents. Therefore, I plan to take more care to keep my attention focused on the road. And business owners perhaps ought to rethink the wisdom of putting two-sided marquee messages out there to tempt motorists into taking their eyes off the street in front of them. The cat’s out of the bag downstate, with reporting today in the Houston Chronicle that Wales Madden Jr. is crossing the partisan divide to support Democrat Bill White’s candidacy for Texas governor. Madden is a longtime Republican stalwart who supported Sen. Kay Bailey Hutchison’s gubernatorial bid in the GOP primary. Hutchison lost and now Madden is backing White, a mountain-climbing pal who has worked with Madden on nuclear issues relating to the Pantex arms assembly and storage plant in Carson County. Madden has been a longtime lawyer and businessman in Amarillo. He’s a big hitter in this part of the state and he joins a number of other Republicans who are crossing over to support White’s challenge of GOP incumbent Gov. Rick Perry. The question of the day, though, is this: Will this support among the movers and shakers translate to actual votes among Republicans in November? 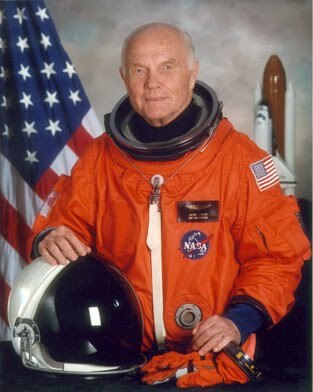 I just watched John Glenn being interviewed on TV and have concluded the following: This man still could suit up and fly into space. The former astronaut/senator argues that President Obama shouldn’t discontinue the shuttle program. Keep it flying, he says, because it’s basically going to cost the U.S. as much to use Russian space vehicles to fly men and women to the International Space Station as it would to use our own space ships. Oh, my. I get goose bumps whenever I think of that moment. I, too, remember when my mom and I would awaken early on many mornings and wait for the Mercury and then the Gemini flights to take off from Florida. Glenn’s first flight was postponed several times before finally taking off on that measly three-orbit fling around the planet. Today, the senator/spaceman proved once again that he has as much mental acuity as he’s ever had. He’s sharp, knowledgeable and speaks with tremendous credibility. John Glenn’s a legend, all right. And he’s still my hero.